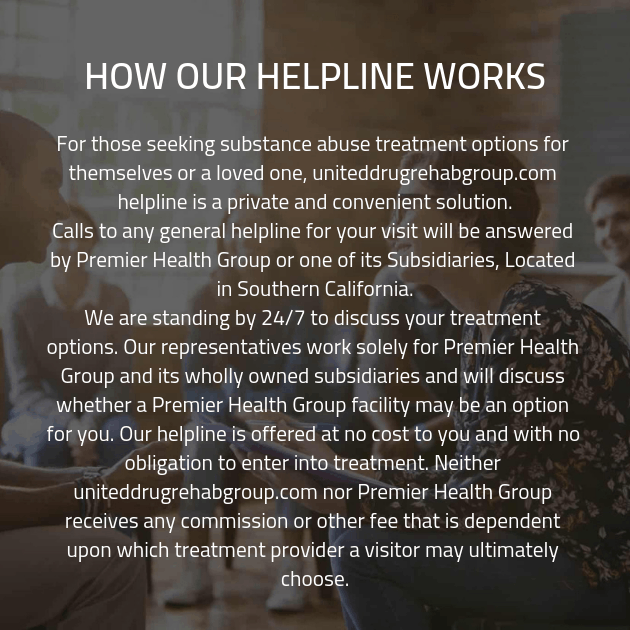 United Drug Rehab Group’s network of providers offers highly effective addiction recovery solutions to men and women who are fighting to break the cycle of substance abuse. Clinically managed detox occurs at the start of every addiction treatment program. Each client receives an addiction recovery program that is tailored to his or her specific needs, addiction history, and severity of substance abuse. Treatment options include inpatient and outpatient services, detox facilities, and luxury housing accommodations. Living alongside others in recovery fosters the creation of sober networks of support. United Drug Rehab Group places clients into our luxury housing facilities that come with many complimentary amenities throughout the addiction recovery program. Contact our compassionate intake coordinators by email or phone. They are waiting to take your call and take care of all the stressful details for you. Recovery doesn’t have to be difficult. We want you to be able to focus on your health and restoration. The quickest way to speak to our experienced staff members is to call (888) 823-4592, or contact us by filling out the form below. They are eager to help facilitate your recovery. While struggling to break the cycle of substance abuse, it can be difficult to try and locate the best addiction treatment program for your specific needs. Let our professional staff eliminate your stress by taking care of all the details for you. We offer luxurious and safe accommodations for all clients. Our opulent housing facilities offer privacy and comfort that is second to none. Take a look at the options we offer.